Posted by Yilan in Macedonia, Serbia. First Deputy Prime Minister and Minister of the Interior Ivica Dacic and Macedonian Minister of the Interior Gordana Jankuloska signed the Agreement on Regulating Border Traffic on Saturday. Dacic and Jankuloska said at a joint press conference that this document will enable citizens of the two countries living in the border zones to pass state borders with IDs only. The ministers supported the initiative to enable all citizens of Serbia and Macedonia to pass state borders with IDs only. Dacic welcomed the signing of the Agreement because it confirms even stronger operational cooperation between police units of the two countries, noting that this should encourage cooperation in other areas as well. So far the cooperation has been very good in the suppression of all kinds of crime through a series of joint operations, especially in the suppression of drug smuggling and human trafficking, he recalled. Jankuloska said that Serbia and Macedonia have always had good police cooperation which should be developed in the future since both countries face same problems. Dacic and Jankuloska highlighted the need for cooperation not only of the police units of the two states in the fight against terrorism, but of the entire region. Jankuloska said that this fight requires engagement of all the relevant institutions in the region and pointed to global terrorist threats that are present at the world level. The two ministers also talked about cooperation in the fight against radical Islamic groups, which also requires coordination of relevant services. They pointed to successful resolution of the problem of false asylum seekers who tried to enter the EU through Macedonia and Serbia. Dacic specified that they were mostly illegal immigrants of Afro-Asian origin. He underlined that special attention should be paid to this matter in order to avoid criticism from the European Commission. Dacic said at the conference that Kosovo-Metohija is the weakest point in the safety chain in the Balkans and called for stronger police cooperation in order to prevent criminal activities in this area. Operational data show that criminal groups from Kosovo-Metohija that smuggle drugs, arms and people are trying to make profit in the EU states. These criminal groups pass the administrative line with Serbia and with other states and cooperate with other criminal groups in the territory of Macedonia and in parts of Serbia which have majority Albanian population, the Minister warned. At the meeting which preceded the signing of the Agreement, several initiatives were launched whose objective is to establish more productive police cooperation. The two ministers agreed that a joint exercise of criminal police units of Serbia and Macedonia should be held as soon as possible. Dacic suggested that the agreement on readmission be signed soon. A Serbian delegation will visit Macedonia next week to attend the first round of negotiations on the matter. In case the final text is harmonised, the agreement will be signed at the Regional conference of ministers of justice and the interior which will be held in Belgrade on 4 and 5 October. The ministers talked about changing the Memorandum on police cooperation signed in 2003 in the form of interstate agreement, and about the agreements on joint arrest warrant and transborder cooperation in case of emergency situations. 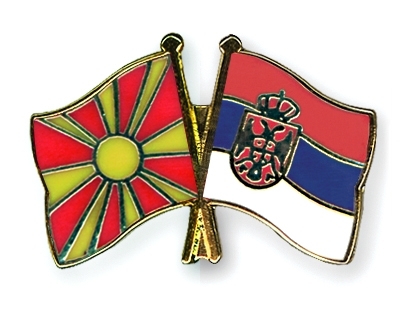 During today’s visit to Macedonia, a new liaison officer Dragan Slavko Petrovic was presented, whose task will be to improve affairs of common interest in the field of security. Dacic also visited the Migration, Asylum, Refugees Regional Initiative (MARRI) centre in Skopje, as well as refugees in this city. Posted by Yilan in Albania, Macedonia, Serbia. Serbian special services disclosed a plan for the establishment of Great Albania by boosting Albanian population through marriages. Serbian security services are saying that after mastering Kosovo, the Albanians are now sending young women to marry old bachelors in the villages in South Serbia /Raska, Vranja, Bojanovac, Surdulica and others/, as well as in Western Macedonia. According to Serbian services, the matter in point concerns a strategy for further expansion of the Albanian ethnic community. “Young Albanian women, most of them from the Skadar region /at the Albanian-Montenegrin border/, get in touch with lonely Serbian men, 10 to 20 years older than them, using match-making agencies. Girls’ parents approve the candidates if they own enough land and if there are no other heirs in man’s family. This way it is sure that the Albanian bride will live longer than her husband and will inherit his property. After husband’s death it’s time for Albanian relatives to come and settle in the region. According to Serbian services, the ‘plan’ is running full blast in Raska, which is neighboring Kosovo. The security services believe that this is a well-plotted tendency, as all the kids born in these marriages are raised according to the Albanian customs and traditions. There is identical process underway in Western Macedonia but it is not as strong as in Serbia. Vecer cites Albanian Skip daily, which writes that around 8,000 Serbs have already visited Albania looking for future brides. Some 86 marriages between elder Serbs and young Albanians have been registered in Serbia so far. Serbia’s president says Serbian holy sites in Kosovo are in danger of becoming “pawns” in ethnic struggles for control of the region. Boris Tadic said four World Heritage-designated sites have been placed on a UNESCO list of World Heritage in Danger “where they must unfortunately remain,” Tanjug news agency reported Wednesday. Tadic made the remarks in Istanbul while addressing the Forum of the Heads of Southeast European Countries on Cultural Corridors, held under the auspices of UNESCO. He praised the U.N. Educational, Scientific and Cultural Organization’s protections during difficult times such as the unilateral declaration of independence by the ethnic-Albanian authorities of Serbia’s southern province of Kosovo and Metohija. He charged those interim authorities with attempting to artificially separate and politicize a “foundational” part of Serbian cultural heritage or destroy it wholesale. “These bridges have held even though some in Pristina have tried to use Serbian patrimony in Kosovo as pawns in a dangerous game of identity creation,” Tadic said. Since October 2008, the International Court of Justice, ICJ, has taken centre stage in the future of Kosovo. Following a UN General Assembly request to the ICJ to provide an advisory opinion on Kosovo’s declaration of independence, the court has deliberated over one of its most important decisions. While its findings are often ignored and only take the form of an “opinion”, this advisory opinion will have a significant impact on the evolution of Kosovo’s independence and on regional politics in the Balkans. A clear or relatively clear rejection of the claim that Kosovo’s independence broke international law would be a major victory for Kosovo and for the countries that recognised it. The short-term impact is likely to be more countries recognising Kosovo, including some in the EU that have withheld recognition, such as Greece and perhaps Slovakia. But while many countries may have withheld recognition in anticipation of the ICJ ruling, a huge wave of recognitions is improbable, as many countries will maintain their reservations over the fact that Kosovo’s independence was unilateral. Whether the number of new recognitions will enable Kosovo to reach the threshold needed for membership of key international organisations also remains uncertain. Similarly, it might facilitate accession to the EU but will by no means remove all obstacles to membership. Finally, Serbia is unlikely to shift its position fundamentally after such a decision, as its Foreign Minister has already stated. At this point, Kosovo would be well advised to avoid any show of triumphalism. If the court offers an “either or” or “neither nor” opinion, which does not take a clear line, interpretation of the opinion in the media will have increased importance. In essence, such a decision would preserve the status quo. It would not trigger a major increase in recognitions but is likely to result in a continued slow trickle. Simultaneously, it will not force Serbia’s hand to the same degree as an opinion along the lines of Scenario 1, and it would be unlikely to shift dynamics in international organisations, including the EU. It is likely to lead to a gradual consolidation of international recognitions but also help delay consolidation of statehood for Kosovo. If the court suggests Kosovo’s declaration of independence was illegal, this will significantly strengthen Serbia’s position. But it will not lead to the withdrawal of the recognitions given to date, nor mean the undoing of Kosovo’s independence. The support of the US and of key EU member states is too strong. But it will mean that the gradualist approach to fully recognised independence has failed and highlight the need for further negotiations. As these three scenarios suggest, none of the outcomes is likely to dramatically alter Kosovo’s current status. Instead, they will provide for different incentives and opportunities to the key actors. From Kosovo’s perspective, the scenarios need to be examined from a two-fold perspective: The international acceleration of recognition in order to pave the way for membership of key international organizations and of the EU; domestically, the consolidation of the state is important, in particular in regard to competing state-authorities on its territory. Both trajectories are not uniform processes and depend on a number of actors. Internationally, it is not just the number of recognitions that matters but also recognitions by key EU member states in order to unlock the EU accession process. In order either to use the opportunities of the ICJ decision, or avoid an ensuing crisis, a response needs to include Kosovo-Serbia dialogue. Whether or not the ICJ recommends such a process is as yet unclear. Why is there a need for dialogue, when positions even about talks are far apart? The reasons differ, depending on the direction of the ICJ opinion, but rest on an assumption that the court’s decision will not “unlock” the contestation of Kosovo’s statehood. If the ICJ opinion largely follows the arguments of Kosovo and its supporters, Serbia’s bargaining position will be weakened as it has relied extensively on arguments drawn from international law to oppose independence. It is in the interest of Kosovo and of regional stability to ensure Serbia is given an “exit strategy” from defeat of its interpretation. As Serbia is unlikely to fundamentally change its position after an ICJ decision, it would be useful to encourage relative moderation to avoid a backlash that might lead to a hardening of policies in Kosovo itself. If the ICJ opinion does not clearly follow Kosovo’s arguments, the need for dialogue becomes even more important. EU membership and full international recognition will remain remote and there will be few strong arguments against Serbia’s support for parallel institutions. Finally, if the ICJ opinion follows Serbia’s argument, pressure on Kosovo to agree to dialogue will become significant. Even some supporters of Kosovo’s independence are likely to become uncomfortable with the current arrangement and will see dialogue with Serbia as the only way out. The status quo will become untenable. In essence, the ICJ decision, no matter the outcome, will highlight key weakness of the unilateral implementation of the Ahtisaari plan. While it has had some successes in providing incentives for Kosovo Serbs to participate in Kosovo’s institutions, evidenced by the high turnout in June of more than 65 per cent in the newly created Serb-majority Partes municipality, it has provided no incentives for Serbia to comply with it. Unilateral implementation of the plan thus provides no incentives for Serbia to recognise Kosovo. The ICJ opinion, depending on the findings, might help legitimise Serbia’s policies in Kosovo. Even if the ICJ deems those policies de facto illegal, by accepting the legality of Kosovo’s independence, the court’s opinion is unlikely to result in the undoing of the parallel structures. The most promising option out of the deadlock, which the ICJ opinion is likely to shed light on, is dialogue between Serbia and Kosovo. Such a dialogue will only succeed if conducted by Serbia and Kosovo as equals and with international support, not with international intervention or imposition. While it is unlikely that such a dialogue will yield immediate results, such a forum is needed to arrive at a formula that can break the deadlock. In addition to the “technical issues” that have been on the table during the status process, there is a need for a broader agenda. The topics under discussion need to include territorial adjustments between Kosovo and Serbia, whether the north of Kosovo might formally obtain autonomy, the role of Serbia in regard to Kosovo Serbs and the form of Kosovo-Serbia relations, given that Serbia will not recognise Kosovo. 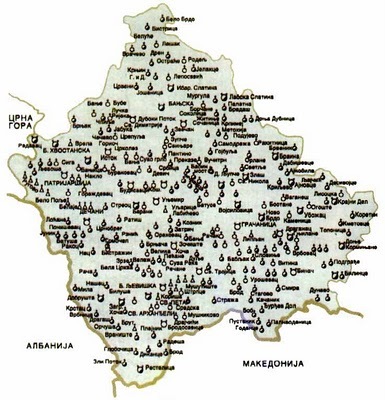 The most important question for a dialogue is whether or not territorial adjustments between Serbia and Kosovo are possible and how to ensure that these have no negative repercussions on the Serbs in southern Kosovo, Albanians in Serbia and on regional borders between Macedonia and Kosovo and on the borders of Bosnia and Herzegovina. Border adjustments are controversial, not just in Kosovo and Serbia but also among many governments in the region and elsewhere that fear a knock-on effect. It is thus important to stress that any such changes would only be acceptable if they were freely negotiated by Kosovo and Serbia as a change of a border between two countries and thus in line with OSCE and UN principles, closing the door to any unilateral border changes or partitions. In Kosovo, such an approach is likely to give rise to challenges to the remainder of the Ahtisaari package, including the Serb minority’s protection and the prohibition on union with Albania. The key to the success of any such package would be ensuring that Kosovo faces no further obstacles towards international recognition, especially in regard to EU and UN membership, and that such an agreement is based on a broad consensus in Pristina to avoid spoilers that might not only derail any such agreement but threaten the broader state-building process. Here, the EU can help to provide both Serbia and Kosovo a lifeline for controversial negotiations, by offering an accelerated process of EU accession as the European Council on Foreign Relations recently outlined. This is not to suggest that such border adjustments (widely, but wrongly termed “partition”) are a desirable outcome, merely that they need to be considered, even if they are eventually dismissed, as an option to unlock the stalemate. The ICJ opinion is unlikely to be a “golden bullet” either for Kosovo or for Serbia. Instead, it will highlight the need to think about alternative strategies in pursuit of state-building in Kosovo.